Please help us celebrate our 20th anniversary by subscribing to the DI today, for just $29.95 / year, or making a donation. Just designate your payment through PayPal to paulbenitzak@gmail.com, or write us at that address to find out about payment by check. Subscribers get access to our DI Archives of more than 2,000 exclusive reviews by 150 writers of performances, films, art exhibitions and more from five continents, as well as our five-year Jill Johnston and extensive Martha Graham archives, plus new articles. Subscribe by June 24 and receive a free photo ad. ** An Insider Forum in which Joffrey Ballet star and choreographer Christian Holder, American Ballet Theatre principal Ethan Stiefel, Joffrey alumna Hoffman (at the time in-house notator with the Paul Taylor Dance Company), Ben-Itzak, and moderator Veronica Dittman debated the question: “Is ballet irrelevant?” The article also featured interviews with Lines Contemporary Ballet director Alonzo King and Kennedy Center president Lawrence J. Wilker, and was illustrated with photography by Marty Sohl and Weiferd Watts. ** Insider News, illustrated with photography by Roy Volkmann of the Alvin Ailey Dance Company’s Mucuy Bolles and Don Bellamy, on personnel changes, promotions, guest appearances, and upcoming performances by the Ailey, Dallas Black Dance Theater, Mark Dendy, the Frankfurt Ballet, and Hamburg Ballet, plus labor strife at the Martha Graham Dance Company. Contributors to the section included recently retired Ailey star Elizabeth Roxas, the DI’s modern dance editor. ** “Fear and loathing with the fungus,” PBI’s inside report from Washington Depot, Connecticut, on the creation of Pilobolus’s collaboration with laureated jazz composer and big band leader Maria Schneider, who told the DI after one session with the dancers and the choreographic triumvirate of Robby Barnett, Jonathan Wolken, and Michael Tracy, “You get the feeling they all want something different….” The article was accompanied by a Pilobolus lexicon, more photography from Philips featuring Anderson, Louis, Santillano, and Trebien Pollard, and a first-hand report from an audition for Momix, the company of Pilobolus co-founder Moses Pendleton. ** An interview with Donald McKayle on the occasion of his 50th year in dance, illustrated with a photograph of McKayle and Carmen De Lavallade performing the former’s “Rainbow ‘Round my Shoulder” provided by fabled archivist Joe Nash and ADF. 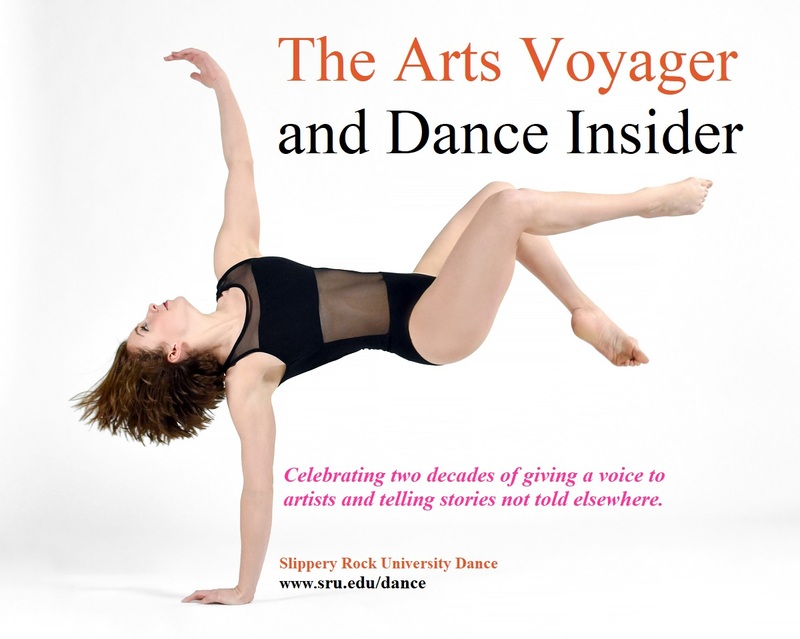 “When you find the linkage between dance and story,” McKayle told the DI, “you have found something very rich.” The article offered an exclusive excerpt of McKayle’s upcoming autobiography. ** “Inside Presenting,” sub-titled, “From the cradle to the grave, new ways to build your audience,” and featuring interviews with Wilker, ODC co-director KT Nelson, Pacific Northwest Ballet co-founder Francia Russell, Walker Art Center director Philip Bither, and many others, and illustrated with Keith Haring’s body painting of Bill T. Jones. The article was accompanied by a side-bar by Stenn recounting her experience performing for and teaching children on behalf of Pilobolus. ** A farewell to San Francisco Ballet diva Evelyn Cisneros, with a review by Aimee Ts’ao of Cisneros’s swan song and a tribute by Cisneros’s colleague (and DI education editor) Edward Ellison. ** An exclusive interview with flamenco legend Lola Greco on her controversial departure from the National Ballet of Spain. “I want opinions, I want comparisons, I want meaning. Dance needs to be talked about not only in the context of its own history and trends, but in conjunction with trends in other art forms. I would like to read reviews which attempt to identify dance’s place in the constellation of ideological, economic, social, and aesthetic influences involved in its creation. Dance writing shouldn’t hide backstage, but should join in the wider cultural critical dialogue. In other words, as Skoop Nisgar said: If you don’t like the news, go out and make some of your own. DI subscribers who would like to receive text versions of any of the above stories from the DI’s inaugural Summer 1998 print issue, please e-mail DI publisher Paul Ben-Itzak at paulbenitzak@gmail.com . DI subscribers also receive access to the DI’s 20-year archives of more than 2,000 exclusive articles by 150 writers related to performances, films, and exhibitions on five continents. Not yet a subscriber? To subscribe, for just $29.95/year individuals or $49.95 institutions, just designate your PayPal payment in that amount to paulbenitzak@gmail.com, or write us at that address to find out about payment by check or in Euros .